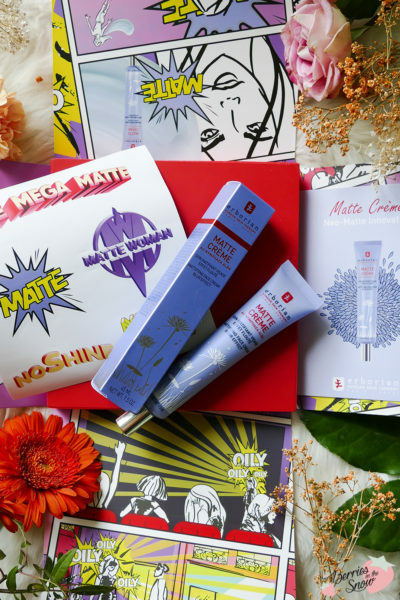 I’m very excited to share this review with you today: It’s about the Erborian Matte Crème! There are two reasons for my excitement: First, it’s my first review for the brand Erborian, second, I’ve been using this a lot during summer and loving it, and thirdly, I was introduced to this wonderful product during a Launching Event in Cologne in Summer, which was such a lovely and nicely organized event that I still have a lot of positive memories of it. Thank you, Erborian & YBPN for the opportunity and for providing me with this product as PR sample. 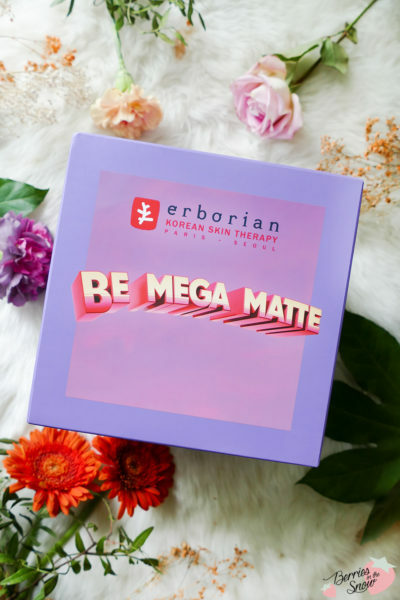 Erborian is a Kbeauty brand based in France and Korea. Co-founder Katalin Berenyi discovered during a visit in South Korea that Korean Women had a very clear and good skin and she learned about Korean beauty rituals and brought them to Europe, founding the brand Erborian together with Hojung Lee, a Korean scientist with a passion for beauty. 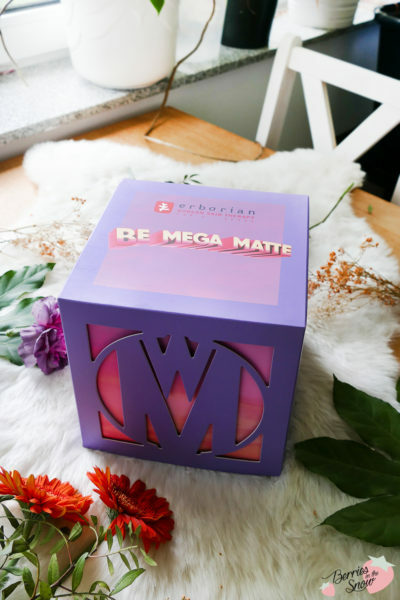 Erborian adapts Asian skincare expertise to beauty rituals around the world, creating a variety of unique and effective skincare and makeup products. 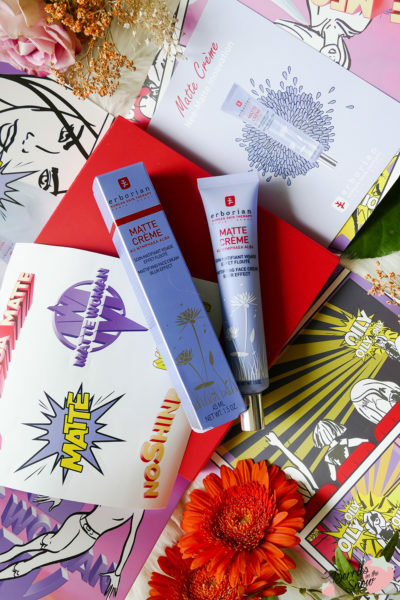 The Matte Crème can thereby be used before makeup, or to touch up throughout the day! 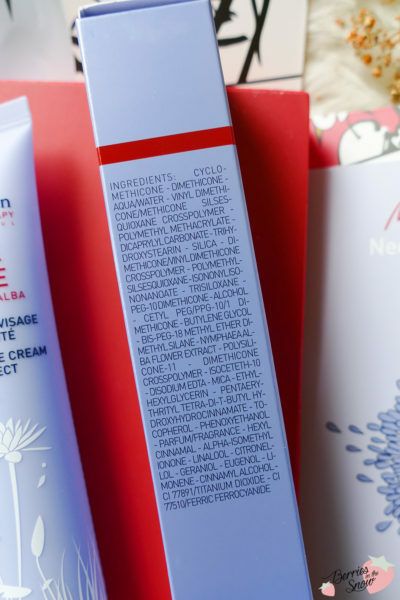 The colorful box revealed the original product packaging in the signature color: pale blue. 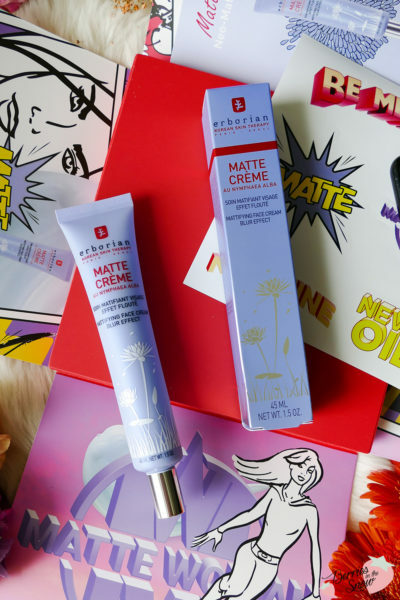 The Erborian Matte Crème comes in a sleek tube containing 45 ml of product. The product is free of parabens, sulfates, and fungal acne safe according to Skincarisma. It does contain silicones and alcohol though. 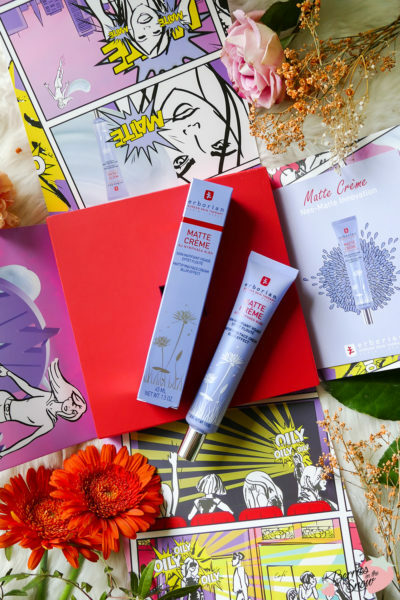 The key ingredients are White Water Lily Extract (Nymphaea Alba Flower Extract) for anti-oxidants and hydration, and silica powder for the mattifying effect. The product also contains Titanium Dioxide for UV protection, Tocopherol (Vitamin E), and Butylene Glycol for hydration. 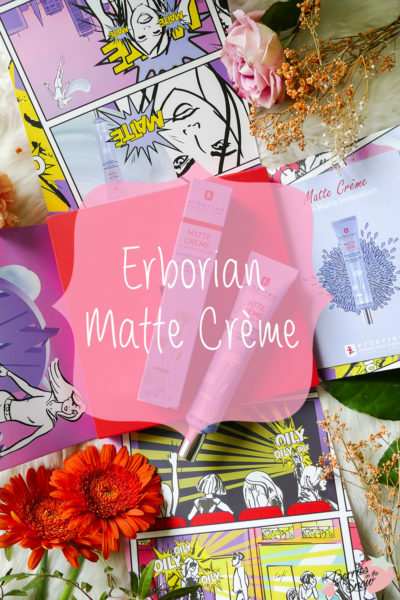 During the Launch Event, we tested this cream in a special way, which was fun and very interesting at the same time: Everyone received a touch-up of their makeup using the Erborian Matte Crème. Then we had a collective yoga session of 60 minutes. The yoga session was really exhausting, and not easy either, and to be honest, I was not prepared to get that much of exercise on this day :D By the end of the session I thought my whole makeup has melted off already! 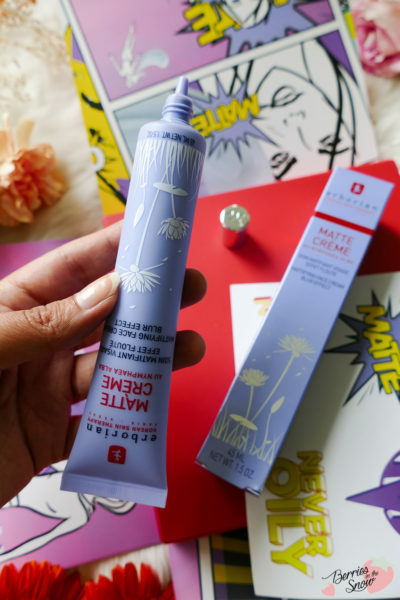 Surprisingly, a look in the mirror revealed that the Erborain Matte Crème really held up to its claims and our skin was still matte and not sweaty at all. I was pretty much amazed and happy! 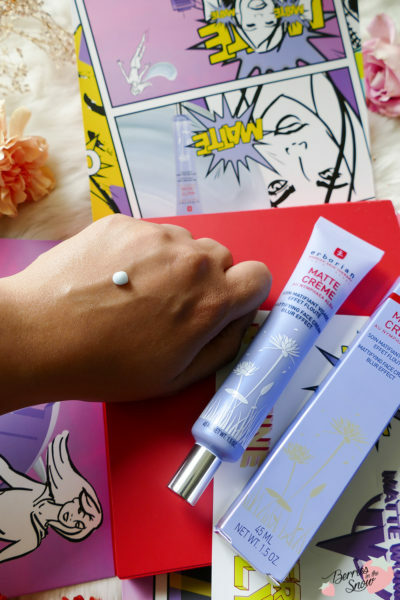 The cream has a pale blue color and a balm-type texture. It feels light and hydrating upon application and has a pleasant and nice scent. The cream pretty much dissolves to nothing and doesn’t leave a film or any type of greasiness. 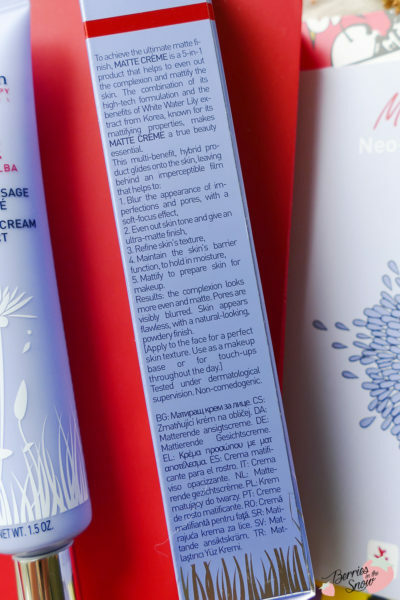 It is super lightweight and apart from the scent non-existent on the skin. The skin looks matte and fresh! I used the cream quite often this summer and it had been really a lifesaver during the hot days. I especially love that it can be used on top of your makeup as well! 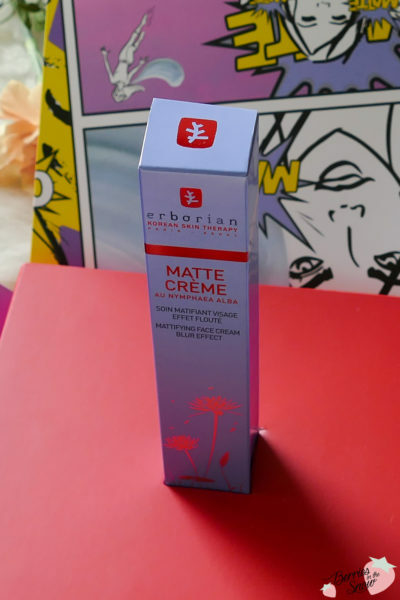 If you are looking for a mattifying cream I can very much recommend you the Erborian Matte Crème! Have you heard of Erborian? I have some more products of the brand to share with you and I hope you are as much excited as I am! Just as a short reminder: All products mentioned and reviewed on this blog are of my personal opinions. This product here was provided to me for reviewing purpose by https://www.ybpn.de/ and https://www.erborian.com/ which doesn’t influence me in providing my honest opinion on the products. Yes, hardly any products I check are fungal acne free so that was a surprise too. I really like the products from Erborian I tried so far. Ich kannte die Marke noch überhaupt nicht! Das Packaging ist aber mega süß und ich finde auch es hört sich total gut an! Ich mag die Marke sehr gerne. Die Matte Creme wäre aber nichts für mich. Ich habe die mit Glow zu Hause.